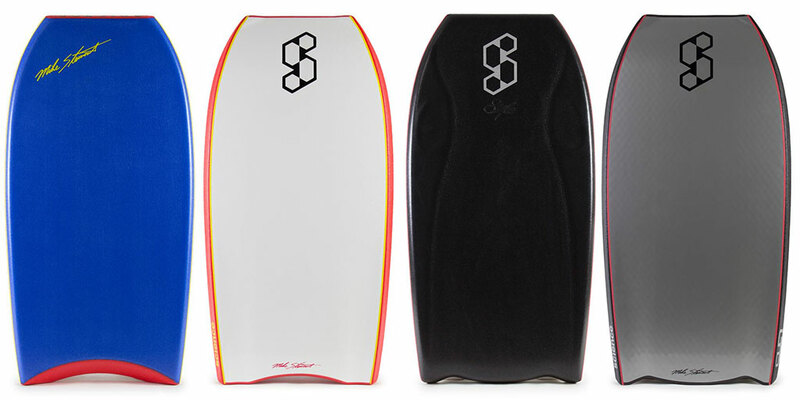 From Beginner to Elite, Science Bodyboards give you an unmatched pedigree from which to excel your performance. Founded by Mike Stewart, a legend whose accomplishments include 9 World Championships and 11 Pipe Titles, you get boards and gear that’ll take you as far as you want to go. 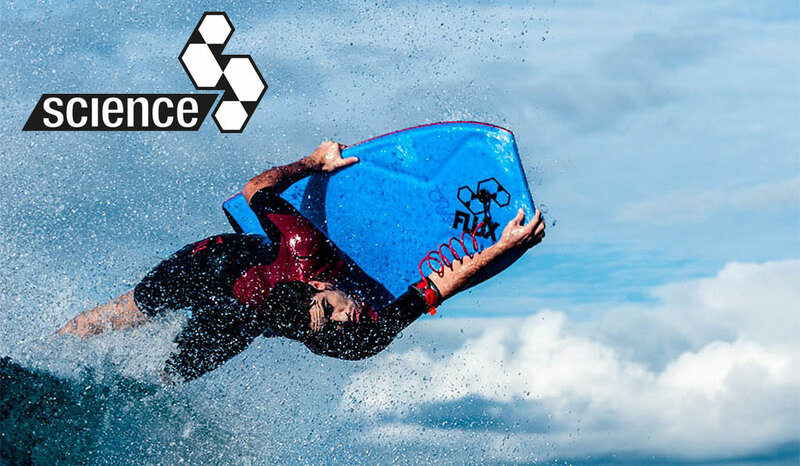 Refined from an evolutionary series of winning shapes, materials and setups, Science bodyboards are proven to give you fun and results. Three key models make up the core of the Science range. Called the Template Series these boards each are optimised for core moves, to address how you want to surf, and how best to attack specific surf conditions. The three models come with many custom variations based on tech innovation and to suit your personal preference. There’s also additional boards in the Science range. However the three Template models are a good starting point from which to understand Science’s super comprehensive approach to give you the best result. The first model in the range is the Pocket. This board is optimised for surfing in the pocket, this being the steep over-vertical section of the wave. To do this the board shape and materials are combined to give you maximum control. In the first instance this means you’re not going too fast or too slow. For example falling out of the lip when you hit bottom you’ve got the control to pull the board into a turn to drive to the lip rather than having all that speed just push you down the line. The Pocket is optimised to help you go from rail to rail with a single stringer setup. You’re not stuck to the wave face but can get the board on the rail edge drawing a line for your turn. When you hit that turn you can instantly carve back onto the other rail, back to the power. The template is forgiving so while helping carving you also get speed bursts so you’re not feeling the board go dead beneath you as you transition. Coming in a KPP setup, Kinetic Polypropylene, it’s got a great core giving you flex along with compression and lengthways strength. This equates to recoil, liveliness, spring and projection out of turns. The KPP is also 100% waterproof. A single REX stringer further adds recoil, the spring out of turns. The slick is quality, coming in HDPE, and with a high end option of fast Surlyn. 55/45 rails give just a touch of speed without sacrificing manoeuvrability. Twin stringers to tone down flex and increase durability and a Bat tail for speed are options. 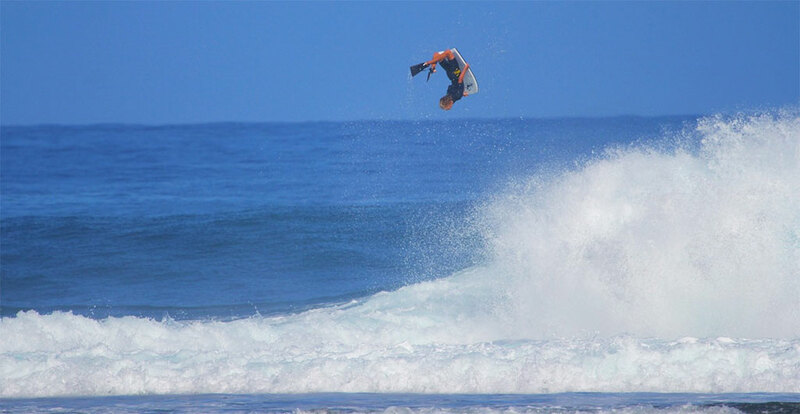 Above and below Science Bodyboards Team Rider Tanner McDaniel on his Launch Limited. That is a launch! The Launch is all about giving you air time. The way it does this is with a straighter outline template and speed enhancements. The straighter rail line gives you flat out speed and along with the template helps you hold a line. So if you’re driving to a section of the lip and getting lump up the wave face this board will hold better getting you there with speed. You won’t get bogged down or have unwanted flex washing off speed. Hitting the lip you can launch into your planned move. This speed is balanced with a KPP core and a single stringer, somewhat similar to the Pocket. You need some control to be able to get your positions right, setting up for that section or ramp. Once you’ve got your line you can let the board go and it’s natural speed will give you launch. If you want still more stiffness, overflexing can be limited with the addition of dual REX stringers, or deck and slick mesh in an oval application. 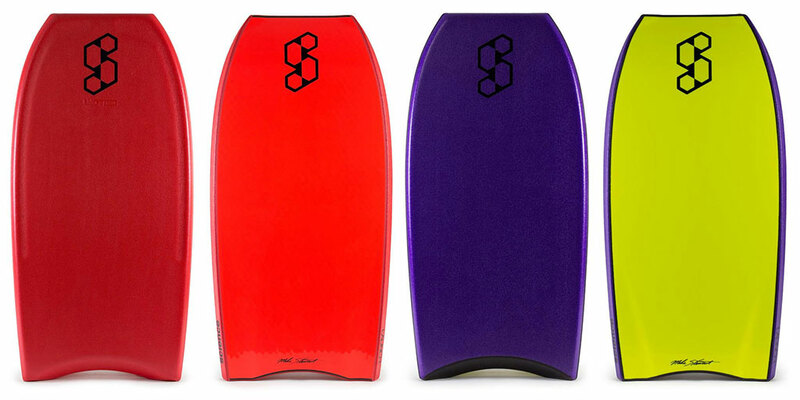 These options keep the board flatter overall and add more dynamic recoil. This means when you do get the board flexed you get an energy boost as it flexes back to its original shape springing you into the next turn. Everybody wants to be the Style master. This model gives you versatility, all round performance balancing speed control and manoeuvrability. It’s great for your daily surf where there’s some waves and sections that are sucky and powerful, other’s presenting lips, and other’s mushy. You can still carve where there’s a pocket but rather than having to carve back to the power you get a little extra speed to setup a launch. As you get to that launch section you may find it’s fattened out so you can easily get release for a reverse. With the Style you can mix it up. Most versions of the Style feature a KPP core. The single REX stringer is complimented with mesh giving an overall consistent feel to the flex. So not matter what the wave’s doing you’ve got confidence in how the board will perform. 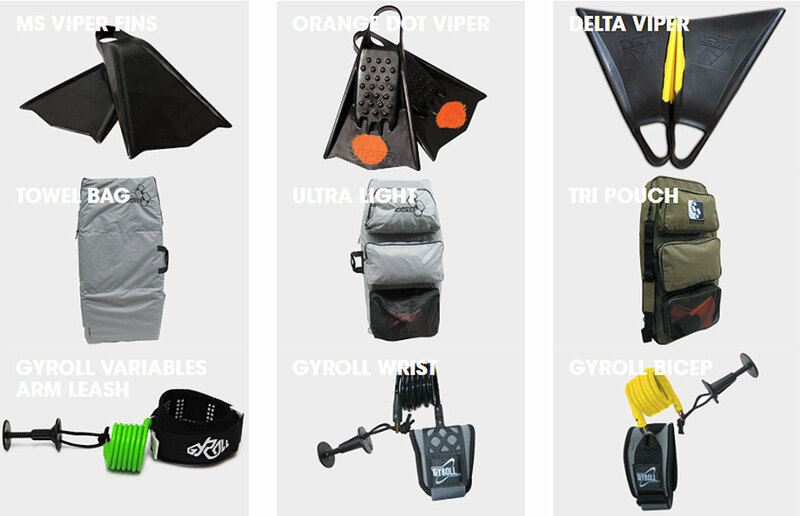 In addition to the boards Science offer a range of accessories to give you that edge to be your best, to go as far as you want. Science has a full range of boards. Above we’ve covered the three key models to indicate how Science can give you success in three key areas of bodyboard surfing. Pocket surfing, going for launches, and all round versatile styling. Science also has bodyboards from entry level to those for large size surfers. 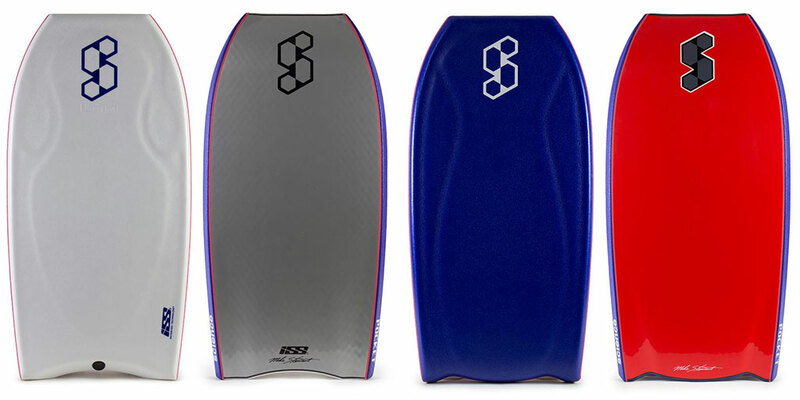 Check Science Bodyboards to take your bodyboarding to the next level.